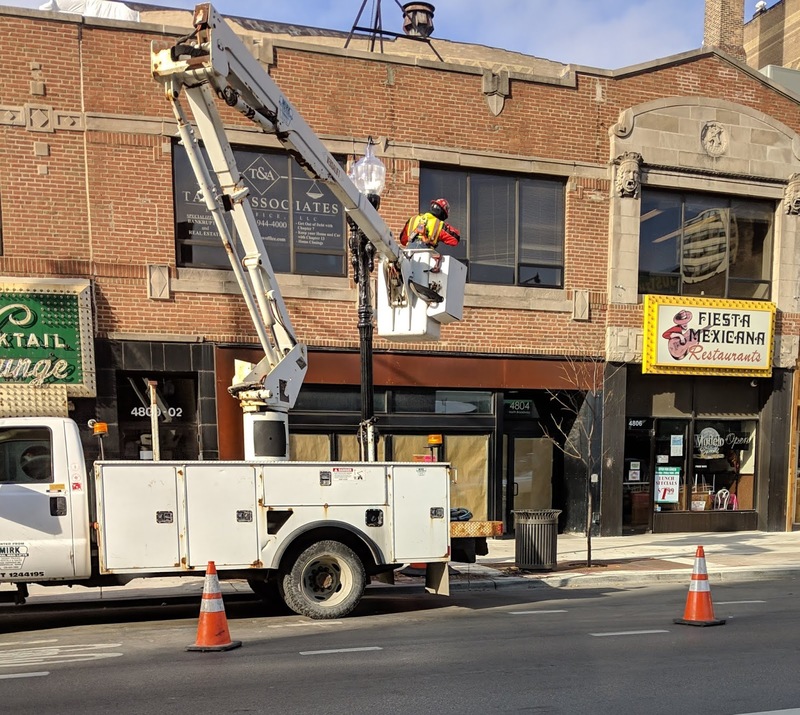 Workers were installing the remaining "acorn" style lighting on Broadway this morning as part of the big streetscaping project from Leland to Gunnison. These street level lights are being installed between the much taller lighting installed earlier. Last up is the art piece that will be installed in the new Riviera Plaza just outside Pancake House. We have heard rumblings that it was damaged during the manufacturing process and will likely be delayed further. Now that we are entering the snowy season, expect the unveiling to be announced once the snow stops flying, likely in the spring. Something else to look forward to, however, art is subjective.